International cultures, customs, cuisine and geography will be in the spotlight at Samford University Nov. 17-21. The campus-wide celebration of International Education Week will feature emphasis on a different region of the world each day. The schedule is Monday-Latin America, Tuesday-Africa, Wednesday- Middle East, Thursday-Asia and Friday-North America and Europe. Samford’s Office of International Student Life, Global Engagement Office and International Student Leadership Council are partnering to coordinate the events. The geography department also has plans to increase awareness of geo-literacy. Angela D. Ferguson, Samford’s director of international education, said that the week affords an opportunity to promote the university’s international initiatives and to raise awareness of global issues and celebrate different cultures. From 10 a.m. to 1 p.m., each day, Ben Brown Plaza will be the site of information tables staffed by representatives of intercultural student organizations and study abroad programs, said international and graduate student coordinator Kyle F. Bailey. Each night, cuisine from a different region will be featured at a station in the dining hall. 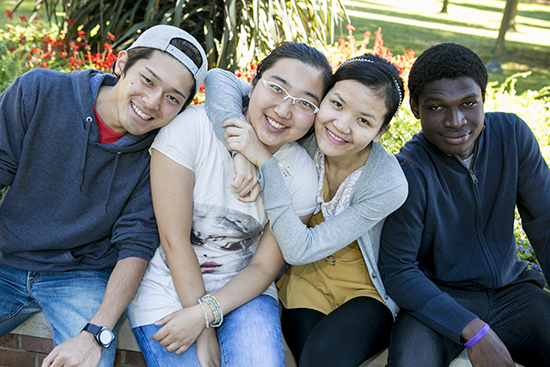 Samford’s international students will help cook and share part of their culinary culture. In observance of Geographical Awareness Week, the geography department will host a Geography Challenge to test the global geography knowledge of the Samford community. The fun and unique trivia contest will be held on Wednesday, Nov. 19, at 4 p.m. in Harry’s on the first floor of Beeson University Center. All students, faculty and staff are invited to attend and participate, said geography department chair Jennifer Speights-Binet. Participants will compete in small groups. Questions will be about geo-literacy (where a place/feature is located), as well as about geographical dimensions of environmental issues, culture, history and current events. Prizes will be awarded. A crucial discipline that teaches about relationships that exist between people and their environments, geography is not often well taught in American schools, she said. “GeoWeek is an opportunity to learn about and appreciate geography, while drawing attention to the need for policies to improve American students’ access to geography education,” Speights-Binet said.